For underwater and diving enthusiasts, you want to share what’s going on each time you go for a dive. A waterproof phone case is one of the many products you should invest in. This is especially true if you plan on bringing your smartphone on diving excursions with you. A phone case protects your smartphone from the elements. The best cases are touch-sensitive. This design means even if you’re wearing diving gear, you can utilize the phone. 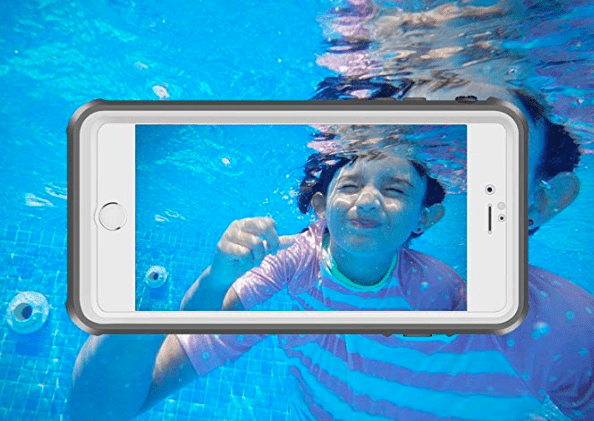 Phone cases also allow you to stream, share and snap photos when you’re underwater. Many people want to share what’s going on underwater when diving. To do this you could bring a smartphone along for the dive. You don’t have to avoid sharing your diving adventures. With the proper equipment, you can Stream, share, snap, chat, and engage underwater. When purchasing a new waterproof phone case, you should look for those that are feature rich. 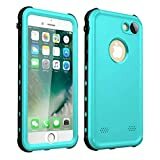 A case that is compatible with multiple phones, easy to use, and lightweight, are some features to look for. Divers also have to consider where they’re diving and at what depths. These factors will dictate which phone cases provide greater protection than others. No matter which phone you are diving with, a protective case is essential to keep it safe underwater. Before choosing a new waterproof phone case, divers have to consider several products. The best cases are capable of protecting phones at deep diving depths and in salt or fresh water. Additionally, they’re easy to access and have enough space to store other items inside of them. When selecting the best waterproof phone case, these are some features to look for as a diver. A universal waterproof phone case is a good option for divers to consider. Whether diving with an Android or iPhone, these cases will protect the phone. Some cases provide larger compartment spaces. This design allows owners to bring credit cards or an ID along with them as well. Some cases are specifically for the iPhone or different Android phones. A universal case is a good option for those who want to protect either while having extra storage space. For people who upgrade phones often, this is also better than buying a case that only fits one phone. Whether it is a zipper closure or fastener, this piece is imperative to keeping the phone dry. If it allows any air to seep in, the phone is likely to suffer some level of damage. When choosing a phone case, look for those with seal tight closures. A snap and lock closure system is a good option as these are airtight and prevent water from penetrating. A twist and lock mechanism is also a good option to consider. The tighter the seal, the less likely water will penetrate the waterproof phone case. For those who choose to take their phone diving with them, the waterproof phone case they choose must be buoyant. The last thing divers want is for their phone to sink to the bottom of muddy or deep waters. That’s especially true in areas where there’s limited lighting around them. Buoyant plastics or lightweight materials are the best options when choosing a waterproof phone case. They’re easy to carry, lightweight, and will remain afloat if owners “drop” their phone. Whether divers prefer a hard or soft case, there are several buoyant materials from which to choose. 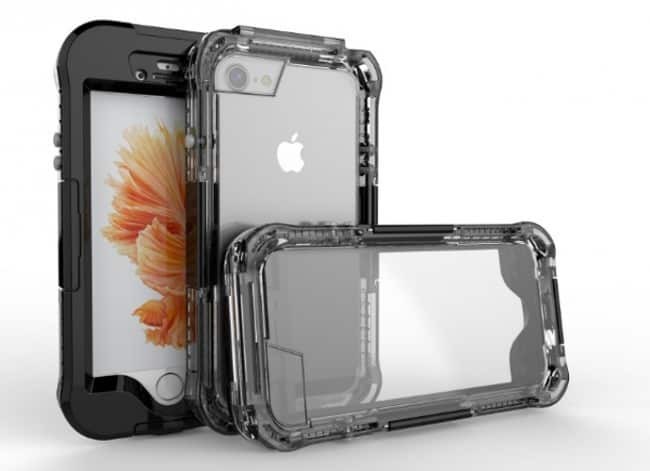 Look for cases that can bounce back on their own to avoid losing them underwater. Like diving watches and other waterproof products, waterproof phone cases are only waterproof to certain depths. The material, quality, design, and other factors, will dictate how deep divers can go with different cases. Some cases can reach depths of up to 333 feet, while others don’t offer as much range. Depending on where owners are diving/swimming, the depth to which cases are waterproof is an important factor to consider. 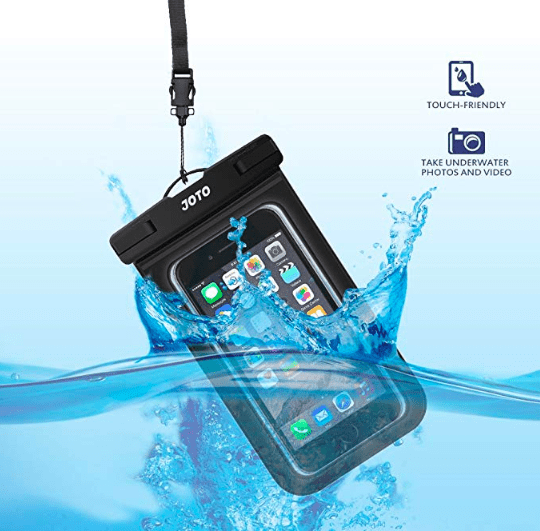 Make sure to choose a case that can keep smartphones dry, no matter how deep the waters are. A lanyard is another nice feature to look for in waterproof phone cases. This feature allows owners to keep the case close by and avoid losing it. They can place the lanyard around their neck when diving to record underwater. Or, divers can tighten a lanyard to wrap around their wrist to take photos. Regardless of how they’re utilizing the phone underwater, this feature helps owners keep their phone close by. It’s a nice addition to a waterproof case, to prevent losing a smartphone underwater. What good is a waterproof phone case if owners can’t use it underwater? Another feature to look for is touch sensitivity. It should easily allow divers to take photos, shoot video, or answer a call. If they can’t use the phone while it’s in the case, it’s basically pointless to have it with them. So, consumers should look for cases that are sensitive and one that users can navigate when wearing diving gear. Waterproof phone cases are fairly affordable. Because there are so many to choose from, the pricing of these products is competitive. Most cases cost $5 to $50 for higher-end cases. Sites like Amazon, Best Buy, eBay, and other online retailers carry multiple options. These are some of the best waterproof phone cases to protect phones that allow owners to navigate them underwater. This waterproof pouch is excellent for divers, swimmers, or boaters who want to keep their phone with them. It’s a universal pouch so it is compatible with iPhone and Android phones. It features a lanyard so owners can tie it around their wrist or neck to avoid losing it also. This case features a clear window on the front and back. This design makes it great for taking photos or sharing video. It is also IPX8 waterproof guaranteeing phones won’t get wet when diving or swimming up to 100 feet underwater. The snap and lock closure system also helps avoid allowing air to penetrate into the case. It helps ensure phones and other items in the pouch remain dry underwater. This model doesn’t feature airtight sealing. Some products come with a pump that allows owners to remove air from the pouch before diving or swimming. It is a good idea to remove as much air as possible before going underwater with the pouch. Doing this is the best way to prevent water from penetrating the twist seal, and keeping the phone safe. This product is $5 to $10. The average ratings are 4.4 out of 5 stars on Amazon. For the iPhone 7 and 8 owners, the iThrough case is a great option. It features a waterproof rating of IP68 standard and features fingerprint identification for safeguarding phones. It is also PET scratch-resistant, so owners don’t damage phones underwater either. Owners maintain full function underwater with side button function control and touch sensitivity on the screen. It is advisable to perform a waterproof test before diving or swimming with this case. Doing this is the best way to ensure phones are safe in different underwater conditions. For iPhone owners who want a case specifically for their expensive phone, this is a good option. It is only for iPhone models, and owners have to upgrade if they own a different version of the iPhone. However, it does fit phones snugly. It is a great protective option for people who prefer an iPhone-specific case, rather than a universal pouch. The case costs $15 to $20. The average ratings are 3.3 out of 5 stars on Amazon. 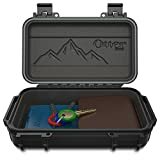 For those who prefer a hard case for waterproofing their phones, the Otterbox is a great product. It is buoyant so it floats easily to the surface if owners drop their phone when swimming or diving. The case can store a phone, keys, wallet, or ID cards easily in the 55-inch containment area. It is crush and waterproof, up to 90-feet, for up to 30 minutes at a time. The polycarbonate construction is durable and rugged, so it won’t break down or damage easily. Stainless steel pins and hinges also ensure the case won’t rust with electronics inside of it. It also includes a lifetime warranty from the company, so consumers can rely on the quality. It is a universal box, so it can store iPhones as well as Android devices safely. The case isn’t transparent like pouches, so owners can’t utilize their smart devices underwater. This factor is something to consider for those who want to invest in this product. But, the excellent protection makes it one of the best products for waterproofing phones underwater. This product costs $20 to $35. The average ratings are 4.5 out of 5 stars on Amazon. When engaging in diving or underwater activities, many people choose to bring their smartphones with them. From taking pictures to live-streaming underwater, many people like socially sharing their activities. 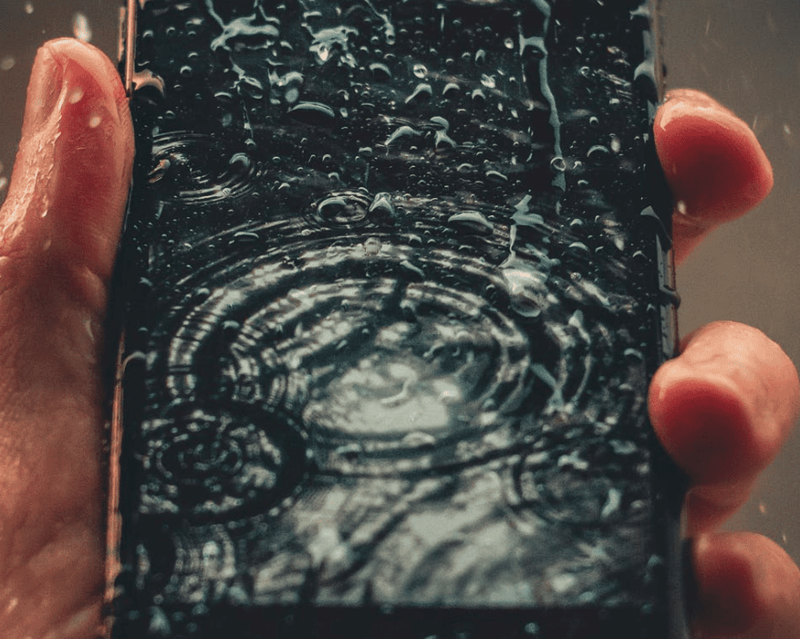 If you choose to do so, the best waterproof phone case is worth the investment to protect your phone. In addition to keeping it dry, many cases are sensitive to touch. This design allows users to snap photos, share, and otherwise use their phones underwater. If possible, the best option is to leave your phone on shore when going diving. Not only to prevent damage but also to prevent losing it underwater in compromising diving situations. For those who simply can’t miss out on the opportunity to share what they’re doing, there are protective solutions. Protective cases and pouches help keep phones and other electronic devices safe and dry underwater. Of course, some products are superior to others. Therefore, consumers should consider the products with the highest ratings when deciding on a new case. No matter whether you own an iPhone or Android device, there are several great universal cases and pouches. These are some of the features to look for when deciding on the best waterproof phone case. The best products allow you to share more while protecting your smart devices underwater.